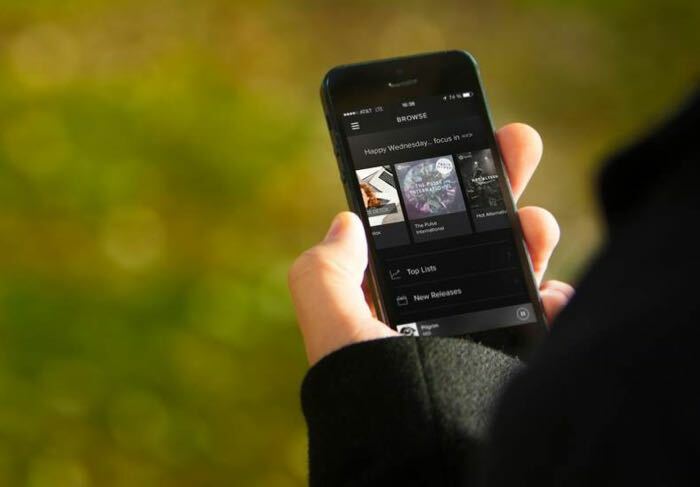 Spotify is now being used more on mobile devices like smartphones and tablets, than on desktop devices, and mobile now accounts for 52 percent of music streaming on the service. Spotify usage has hit 42 percent on mobile phones and 10 percent on tablets, giving mobile the major usage share for music streaming. The company also revealed that 45 percent of its music streaming is still done from its desktop software and just 3 percent of its streaming is on the web. More and more users of the service are now using their mobile devices to streaming music, and mobile usage is expected to continue to increase in 2015. The company now has over 50 million active monthly users and 12 million of those are paying subscribers, and the average user streams around 150 minutes of music each month.